Arsene Wenger takes charge of his penultimate game when Arsenal travel to the King Power to take on Leicester City this evening. Here is the team I would like to see the boss select…. We need a new goalkeeper this summer but Cech has been a great servant, not only to Arsenal but to the Premier League, so I’d like to see him starting our final two games. Mavropanos put-in another encouraging performance during the 5-0 win over Burnley so I’d like to see the 20-year-old given another chance to impress alongside Chambers as they seem to be building a decent partnership. Obviously Koscielny is out for the long-term after undergoing surgery while Mustafi hasn’t shown the consistency we need so who knows, maybe Mavropanos and Chambers could be our new centre-back pairing next season?! Bellerin will keep his place on the right but we should see Monreal recalled at left-back with Kolasinac dropping out. 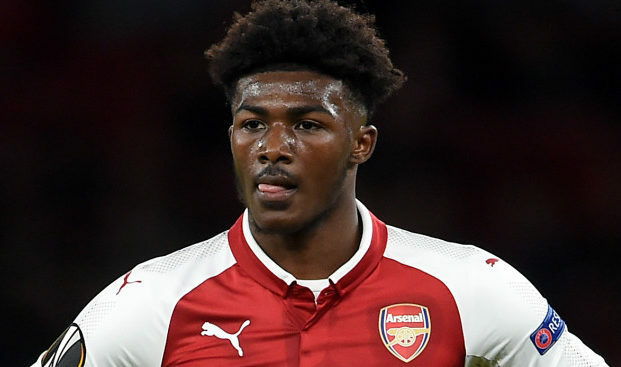 Maitland-Niles deserves another chance in midfield as I thought he was excellent against Man Utd the other week so I’d like to see the 20-year-old alongside Xhaka – who’s been in decent form of late. 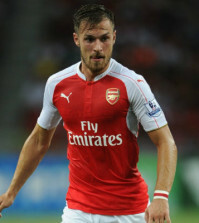 Wilshere produced a much-improved display on Sunday against Burnley but I’d still recall Ramsey tonight with the Welsh international given the license to roam in front of Xhaka/AMN. Ozil has been ruled out again with an apparent back injury. 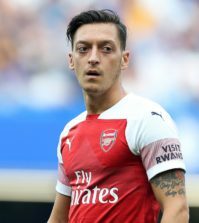 Fans and pundits blasted Mesut after he missed the Burnley game following heavy criticism for his performance against Atletico but Wenger insists the injury is genuine. Aubameyang continued his fine form in front of goal with another brace at the weekend and he really is the fox-in-the-box Wenger has been looking for for over a decade. 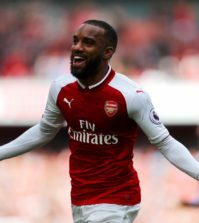 Lacazette could perhaps do with a breather as he’s played a lot of football in recent games so Welbeck could come in to the attack with Auba moving back in to the middle. Mkhitaryan was excellent against Burnley at the weekend so the Armenian international should keep his place with the likes of Nelson and Iwobi offering support from the bench.